Today's Image of Mars is of part of Turkey Haven, the aptly named place that Mars Exploration Rover Opportunity will be spending the Thanksgiving weekend. Oppy will be studying the rocks in Turkey Haven for the weekend. I felt this was a fitting image for Thanksgiving Day, don'r you think? There are a lot of interesting rocks and features in Turkey Haven and the microscopic imager is sure to return some great fascinating photos after the long weekend! 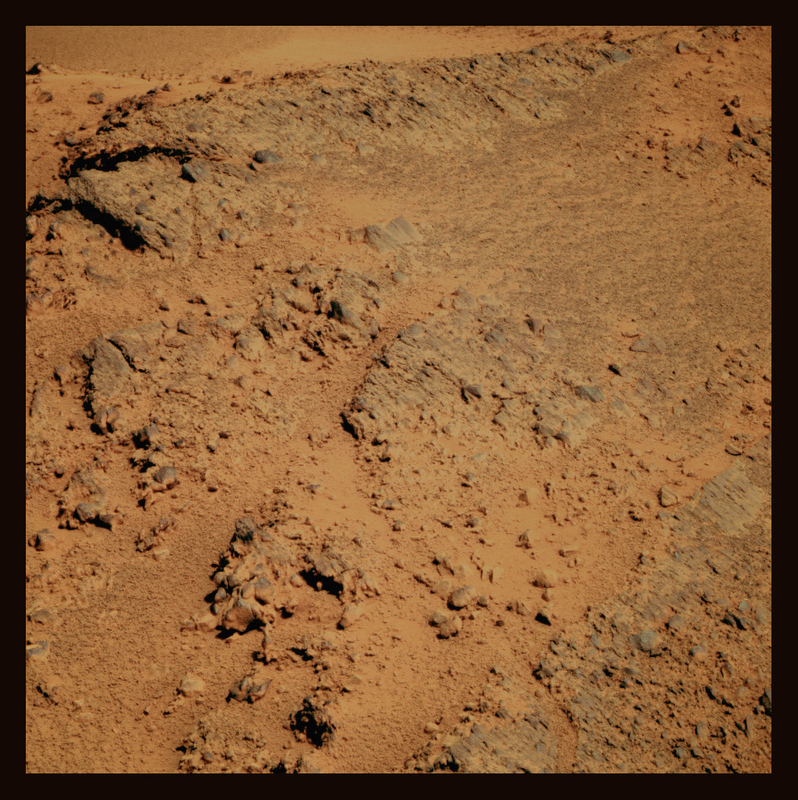 As with most images from Mars Exploration Rover Opportunity, this has been colored by Stuart Atkinson from The Road to Endeavour. Clicking on the image below will take you to the post on his blog where this image is from.